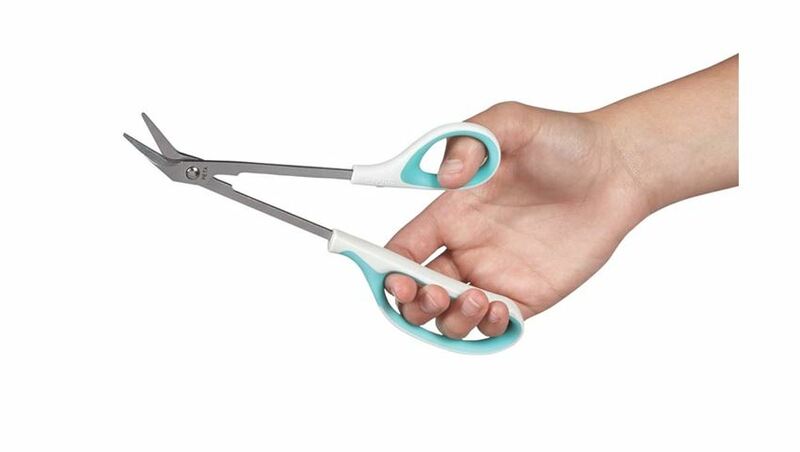 Toenail Scissors 8-1/2" length gives extra reach for those who have difficulty bending. Molded finger and thumb grips allow easy gripping and greater leverage. Blades are angled upward to provide a good cutting position. 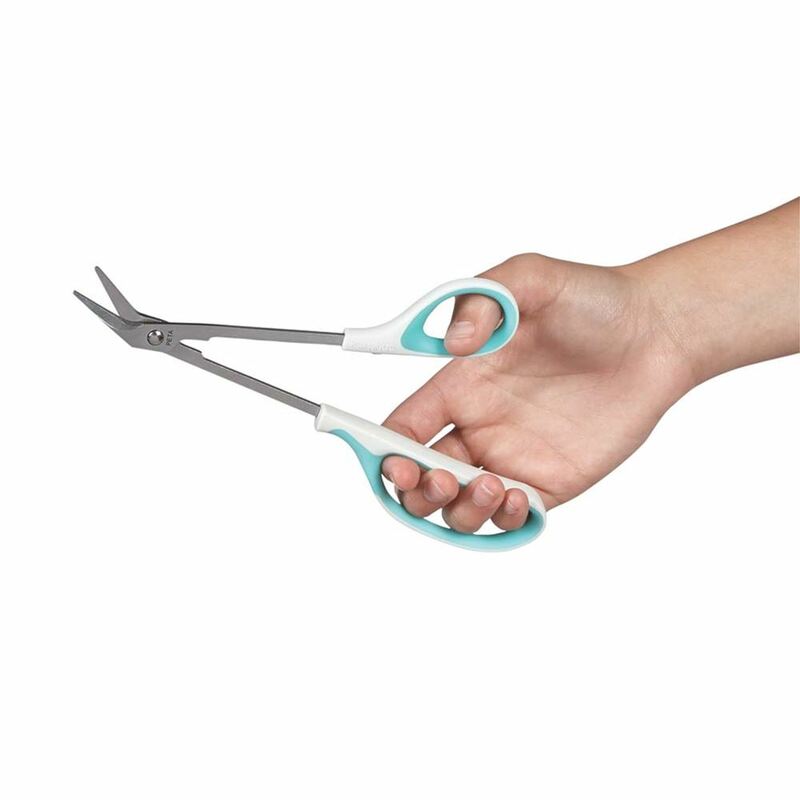 Slightly serrated edge stops nails from slipping while being cut. Not made with natural rubber latex. Stainless steel.